1. Your first attempts at making music will not be that good! It’s ok! My first productions were atrocious! Knowing what I know now I wish I had created more songs and spent less time trying to perfect the ones I was stuck on. Move quickly, try new ideas and always be be creative. As you grow your skills you can always go back and revisit your songs. You can’t wait for the right time to create. Create regardless. We all know that feeling on working on a song, getting that perfect bass line to fit on an amazing groove when suddenly someone walks in and distracts you- when you return to the song and you’ve lost that focus. It’s ok! Those set backs are not going to go away, life comes at you on its terms, not yours. So get back to song and you will soon return to that creative place. 3. You Don’t Need To Know Everything to Make Music. 80% of the time you should be making music. Only spend about 20% of your time, at most, learning. Take your skills as far as you can go! Search for tutorials for specific issues to get you over creative humps. You’ll never retain information if you’re watching tutorial after tutorial without practicing and implementing some of those strategies. Some of the best song writers in the world only know a handful of chords. Tom Petty said he wouldn’t have been a good songwriter if he had been a great guitarist! 4. You Have All Of The Tools You Need To Make Music. Learn the tools you have. The tools you have at your disposal contained in your DAW will get you great results. Stock Plugins sound great, the virtual instruments contained in your DAW sound great! When I first started I believed that I would never be able to make great music because I didn’t have the right mic pre or compressor. Now, most of my time is spent with one Mic, one Mic Pre and one compressor. Often that mic is a $99 SM57 and the Mic Pre is my Audient iD4 or my UK Sound 1173, that’s the reality! 5. Knowledge is great, however the habit of creating music is far more important. Focus on the habits of creating music first. Set aside time every day to create, even if it’s 15 minutes! As short as that sounds it will keep you connected to your creativity. 6. People are more important than anything. Create great relationships. Get yourself out there. Building relationships is extremely important. The old phrase ‘it takes a Village’ is very true. Work with others, collaborate with writing and production, also use other musicians who play different instruments from you and, of course, singers! Enjoy yourself! If you enjoy what you do then you reinforce that habit of making music. The idea of the lonely artist working in isolation is overly romanized. The reality is 99.99% of the Artists we admire collaborated with their bandmates and producers! 8. Get Good At An Instrument But Don’t Stop Making Music Because You’re Not A Virtuoso! Embrace where you are at, make music. If I had waited until I was good enough to play at the highest level in my mind I would never have made music. There’s always someone better. Dance music in particular doesn’t require a huge amount of knowledge of Music Theory and Blues uses very basic patterns and is ALL about expression! 9. 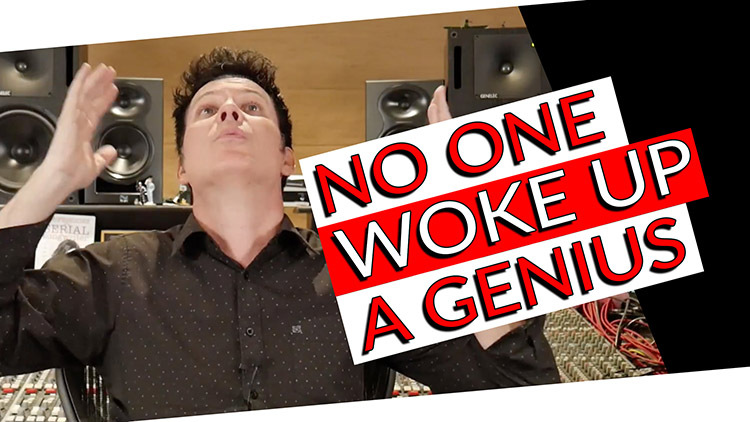 Work For Your Goals- Don’t Buy Into The Idea That Your Heroes Just Woke Up One Day Geniuses! Many of the Artists we love worked exceptionally hard for many, many years before getting any recognition. We all know the Malcolm Gladwell quote about 10,000 hours, he talks about how The Beatles had played more live shows before making their first album than U2 have done in their whole career. 10. Good Artists Borrow, Great Artists Steal. John Lennon admitted taking Del Shannon’s song ‘Runaway’ and using the chord sequence wrote ‘I’ll Be Back’. Is it the same song? No, not at all, however it is a perfect example of how Artists take ideas and create new music from them! Listen to all kinds of genres, blend them, be open to everything! Early Rock and Roll used musicians who played Country and Jazz with a Blues feel! Queen’s ‘Bohemian Rhapsody’ has huge Classical influences! There’s so many examples of how Artists have taken other genres outside of their wheelhouse and created uniqueness!